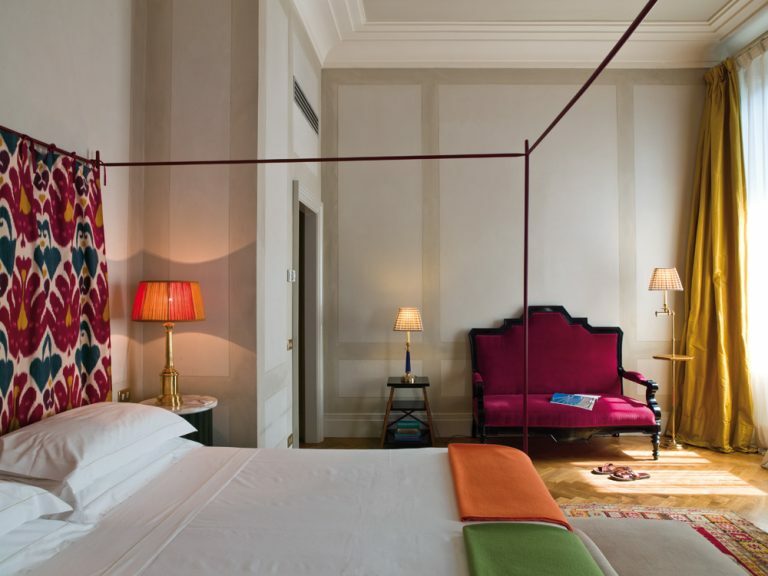 I remember my first visit to Antica Torre di Via Tornabuoni as I knew immediately that this was a “Celebrated Hotel.” On one of Florence’s most beautiful streets, most visitors to the city buzz right by the property’s entrance without knowing that behind the door is one of Florence’s most exciting and best value properties. Completely residential in feel, Antica Torre is located in one of Florence’s many towers. 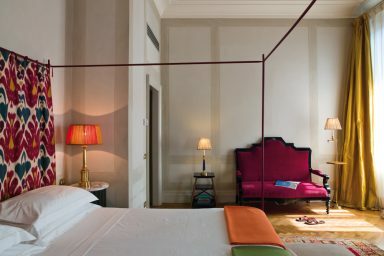 What the property lacks in doormen, it makes up for in warm service, lovely rooms, exceptionally good rates and one of the best places in Florence for a cocktail! 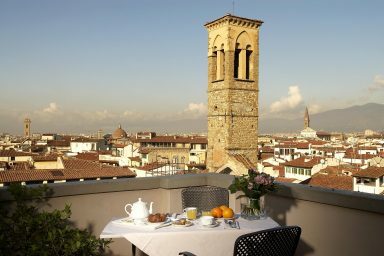 Antica Torre remains one of our most popular options for families and those enjoying extended stays in Florence. 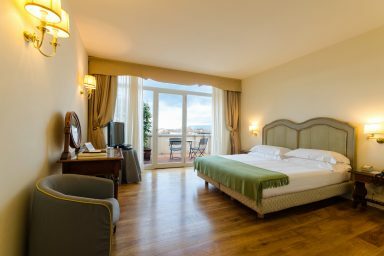 These guests especially love the larger suites and apartments. 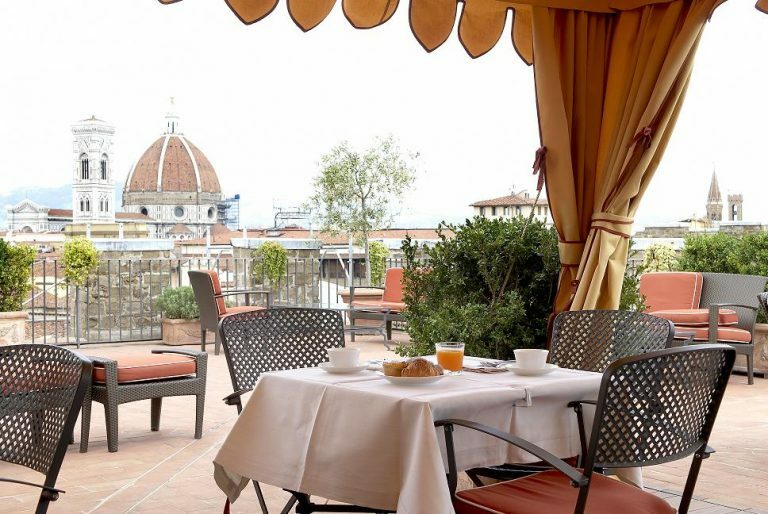 Also, to be so central in the heart of Florence and right on the Arno! 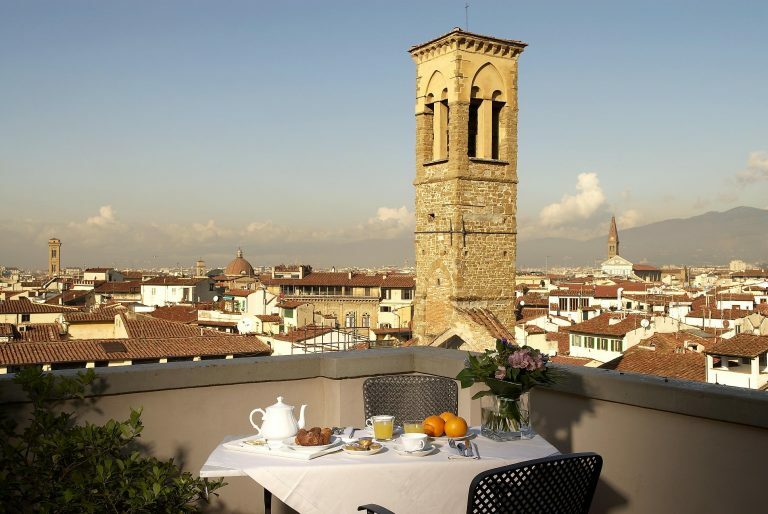 We get lets of great feedback at Antica Torre, and more than anything guests talk about the incredible rooftop terrace with the views over the Florence skyline and the Duomo. 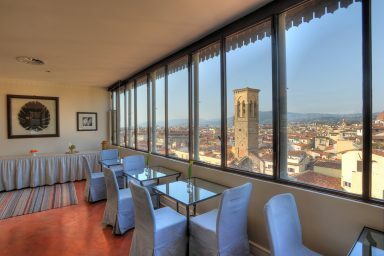 In addition to the outstanding view, our clients can avail of a sensational Celebrated Perk as the hotel hosts a private cocktail making class overlooking the Duomo. 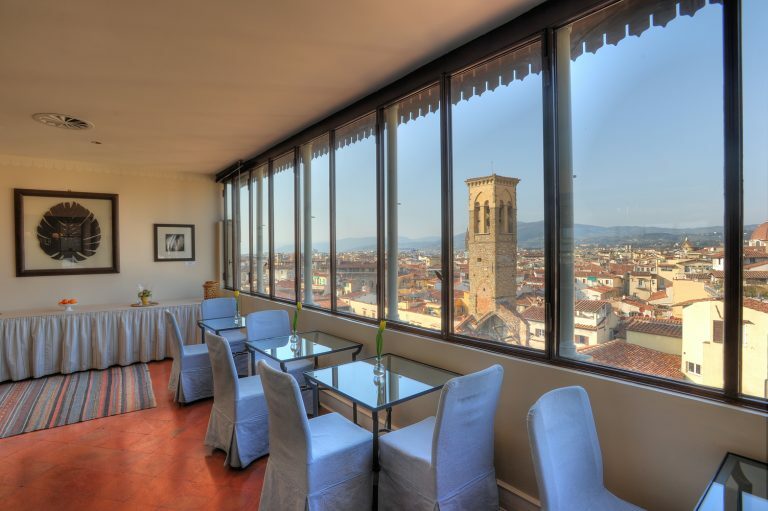 Guests also love the overall dining experience here as the restaurant serves only organic fruit & vegetables from Azienda Agricola La Talea of Florence. This farm shop is a local purveyor of high quality products using sustainable production methods and supplies the best restaurants in Florence. 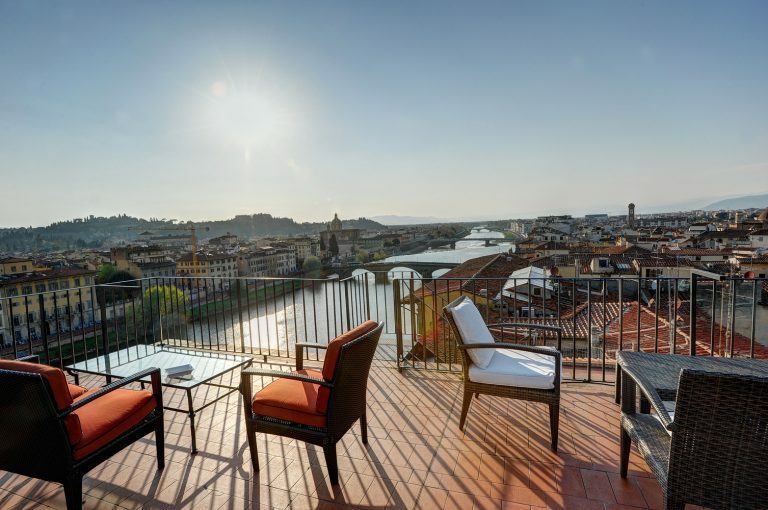 From the warm and welcoming team to the lovely rooms (some overlooking The Arno) to the incredible food and beverage experiences, Antica Torre is truly one of Florence’s great treasures. 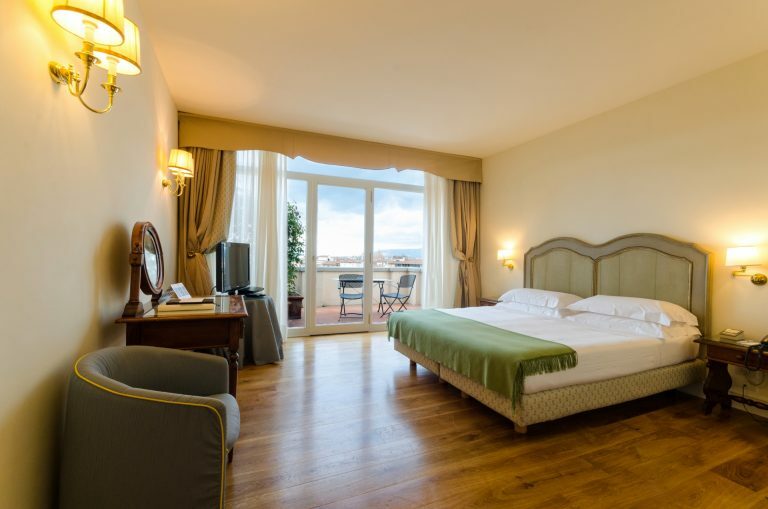 To learn even more about Antica Torre please give us a call at 800-322-2403 or shoot us an email.